Mud map of Mount Shamrock, identifying residents c1904. For residents of Mount Shamrock, their everyday landscape was associated with the people who lived there. 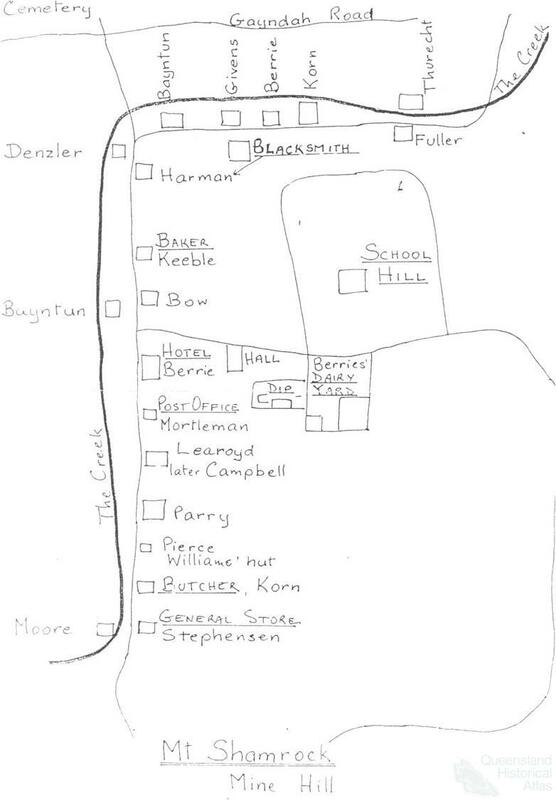 This remembered landscape depicts the relative location of families, businesses and places (such as the mine, the school and the cemetery), rather than the more structured map of the town lots. In this map places and people are conflated – changes through time and actual distances are unimportant. Collection of Geraldine Mate.